Who is Web Mailing Lists? 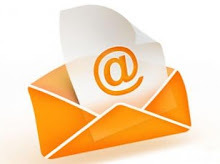 Web Mailing Lists is one the leading database marketing provider in North America. We help organizations in customer acquisition and retention activities through high-quality marketing lists. Our mission is to be the trusted list partner for small businesses to large organizations. For more information about our services, please visit our “about us” page. I am new to database marketing. How can you help me? Our segmented targeted list makes it easy for you to find the right prospects. We support beginners to seasoned marketers through free consultations and online support. Our data experts will study your marketing challenges and recommend best practices to improve lead growth. We compile data from leading data compilers and through our in-house research. We collect data from government archives, research papers, trade shows, U.S. Postal Service information, bankruptcy filing, yellow pages, magazine subscription, and other reliable sources. Before we add new data to our repository, we verify and screen the data. How can I increase response from email campaigns? Recipients are interested to read relevant, interesting and informative content. Marketing to the right customer segment will increase the response rates and enhance conversion. Send emails in HMTL and only-text emails and be aware of Anti-spam regulation applicable to each State and Country. What is the delivery rate of business-to-business mailing? We recommend that you use the list within 30 days of the receipt. With fresh list, you'll achieve high delivery rates. 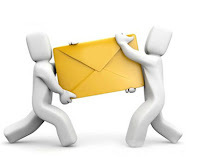 We expect delivery rate of over 85% or better for b2b mailing list. What other data and campaign supporting services do you offer? How soon can I expect results from my email marketing? Compared to other channels, email is fast and time-saving. Email marketing generates immediate results within hours of sending to your subscribers. Why marketers prefer email marketing over direct-mail marketing? Response from email marketing is quick and email promotions are cheaper than direct mailers. Email promotions can be sent selectively to niche markets and in very less time. How can I create messages for mobile readers? Conventional HTML messages are too big for hand-held devices. Text-only messages are more compatible for mobile phone or create a lean version of HTML message with fewer links. Can you add value to my existing list? Yes, we offer multiple list appending, list cleansing and list hygiene services. Our full range of data services can append the most relevant business data to your file. How long does it take to get my mailing list? Ready lists are delivered within 24 hours or less. In case of custom-list, the delivery time depends on the complexity of the requirement.